Nicky Alan Psychic Medium is a professional Psychic Medium and this site and all services therein are for entertainment purposes only. People under the age of 16 may NOT make any purchases or obtain any psychic or any other form of reading unless Nicky Alan Psychic Medium receives written permission from their parents. By phoning the telephone numbers given from a Nicky Alan Psychic Medium advert or from this web site, you agree that all services provided by the Nicky Alan Psychic Medium are for entertainment purposes only. There are no guarantees to the truth, likelihood, or validity of the information obtained from the Nicky Alan Psychic Medium web site. Nicky Alan Psychic Medium is not responsible for the content of any web sites linked to from this site. Nicky Alan Psychic Medium is a Professional Psychic and any and all insights, advice or information given through her whilst she is channelling may not be the sole opinion of Nicky Alan. Any advice or information that is given through the Nicky Alan Psychic Medium web site, is the sole opinion of Nicky Alan. 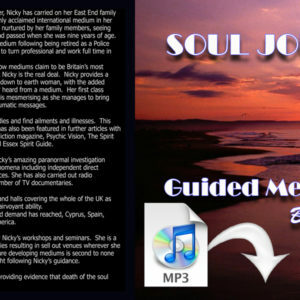 All claims made by Nicky Alan Psychic Medium are NOT guaranteed. Since the psychic readings are based on channelling and are not necessary the expressed opinions of Nicky Alan Psychic Medium nor are they based on scientific factors, but rather subjective factors of insights received through her psychic ability. Nicky Alan Psychic Medium cannot be held responsible for, nor accept responsibility for and does not guarantee the accuracy of: claims, statements, information or advice given. 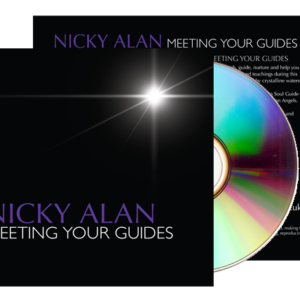 No perceived predictions, insights, opinions, information, advice, statements or comments made by Nicky Alan Psychic Medium should be interpreted as factual, actual or predictive. By using this site, you are accepting these terms and conditions without recourse. You accept the site, as is and as and when available. Nicky Alan Psychic Medium is not responsible for any action that you, the Customer make upon information from Nicky Alan. You, the Customer, are responsible for making your own decisions and it is understood that, when Nicky Alan Psychic Medium provides information for you to consider she is working as a channel and as a consequence the information Nicky Alan Psychic Medium provides should NOT be interpreted as a suggested course of action. By using this site, you are accepting these terms without recourse. The Nicky Alan Psychic Medium site is NOT to be used instead of professional services from Psychological, Psychiatric, Legal, Financial, Medical, Hospital or Otherwise Relevant Medical Fields. Nicky Alan Psychic Medium does not diagnose or prescribe on health issues nor give financial advice. You agree that all insights, information etc., and as mentioned above, and given by Nicky Alan Psychic Medium that may be interpreted as medical, legal or psychological are the opinions and advice of a layperson and are not to be interpreted otherwise. Nicky Alan Psychic Medium may suggest alternative philosophies, however these suggestions are not meant to replace, diagnose or treat any condition you may have, but rather to provide you with additional insights and information for purely intellectual and entertainment purposes. If you have medical, legal, financial or psychological concerns, you are urged to contact a relevant Professional. Your use of this site binds you to these terms and conditions. Nicky Alan Psychic Medium cannot guarantee accessibility without interruption. Although the site is maintained and kept updated, Nicky Alan Psychic Medium cannot be held responsible for any viruses, errors or glitches that may occur from downloading material off of the site. Nicky Alan Psychic Medium does NOT give out ANY information to Third Parties. All information is kept confidential. For any questions regarding these terms and conditions, please contact us at Nicky.alan@btinternet.com. The terms and conditions of this site are subject to change without notice. 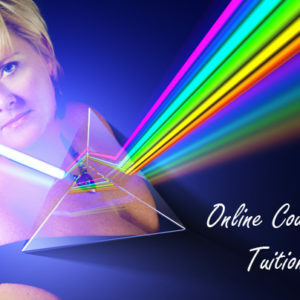 Calls are taken by Nicky Alan Psychic Medium from 11.00 am – 7.00 pm seven days a week. Customers who use the appointment page are given priority. All written readings are channeled by Nicky Alan. You will receive your written reading via email unless other arrangements have been made. All readings are done within 24 working hours from the time the order is received. 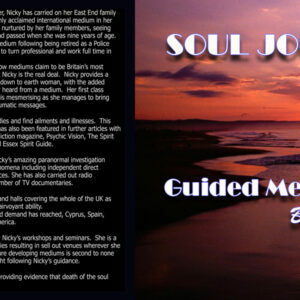 Nicky Alan Psychic Medium will advise you if there is an unexpected delay in you receiving your reading. Please check your junk and trash if you have not received your reading in the statement timeline and contact Nicky Alan Psychic Medium immediately if you are not in receipt of the reading. Nicky Alan Psychic Medium reserves the right to limit or refuse purchases for a reading if she considers the client is too vulnerable for whatever reason to have a psychic reading. NO REFUNDS ARE OFFERED FOR ANY PRODUCT PROVIDED BY NICKY ALAN PSYCHIC MEDIUM UNLESS IT IS AT THE DISCRETION OF NICKY ALAN. In order to apply for a refund you need to put your complaint in writing and email contact. Verbal complaints will not be acted upon. Should a refund be granted it will be action-ed within 24 working hours of that agreement. An administration charge of £10 may be deducted from the agreed amount, irrespective of the purchase price. This warranty is hereby void if dissatisfaction is not expressed immediately and a specific reason is not given. Full refunds are given at the discretion of Nicky Alan. If you wish to cancel a verbal or written reading which has already been paid for and you do not wish to reschedule, a refund is available. A £10 administration fee will be automatically deducted, you will be advised that this administration fee is being deducted and asked to confirm that you wish for a refund. Net refunds are sent out after the funds are cleared and with 24 hours of Nicky Alan Psychic Medium receiving confirmation that a refund is required. NO REFUND IS DUE IF ANOTHER APPOINTMENT IS LOST DUE TO A CANCELLATION AND NO NOTICE WAS GIVEN PRIOR TO THE APPOINTED TIME. Nicky Alan Psychic Medium has a zero tolerance against fraud and will prosecute credit card fraud and identity fraud to the fullest extent of the law. All prices are in UK Sterling. All prices are subject to change without notice. Written readings and readings purchased on this site are charged via paypal provided by the user of this site and its services. Depending upon the postage option you chose and where you live, you will receive your orders within 2 to 5 working days. If you do not receive the item within this time, please contact Nicky Alan on the email provided. Some search engines list our site with or without our knowledge. The contents of such advertising is not monitored and we do not accept any responsibility or provide any warranty for advertising which has not been updated by these search engines. (e) your violation of this Agreement. Nicky Alan Psychic Medium shall have the right to withhold amounts payable to you to cover your obligations there under. These terms and conditions and the relationship between all users of this site shall be governed by the UK laws. Nicky Alan Psychic Medium does not accept responsibility for any physical, mental, spiritual, emotional or metaphysical changes that may occur as a result of a psychic reading with Nicky Alan. Nor will Nicky Alan Psychic Medium accept any responsibility for the karma and dharma of the client.